What is your minimum delivery for fuel oil? 150 gallons is the minimum delivery. We can deliver 100 gallons with a .05 per gallon additional charge. No, there is no additional fee for deliveries, just the cost per gallon for the fuel. Can I receive invoices by e-mail? Yes! It's easy to go paperless! Just call our office or contact us through our website with your email address and you can begin receiving invoices and statements electronically. No, we keep our prices as low as possible and charge every customer the same price. Credit approved customers can take up to thirty days for payment of invoices. Our office is open Monday through Friday 7:30 am – 5:00 pm. We are open Saturdays 8:00 am – 12:00pm, November through March with fuel deliveries available at no additional charge. Do you offer after hours emergency service and delivery? YES, we always have someone on call for emergencies in both the Delivery Department and the Service Department. How do I contact you after regular office hours? Existing customers, simply call our office number, 717-273-8544. You will always talk to a friendly “LIVE” voice. 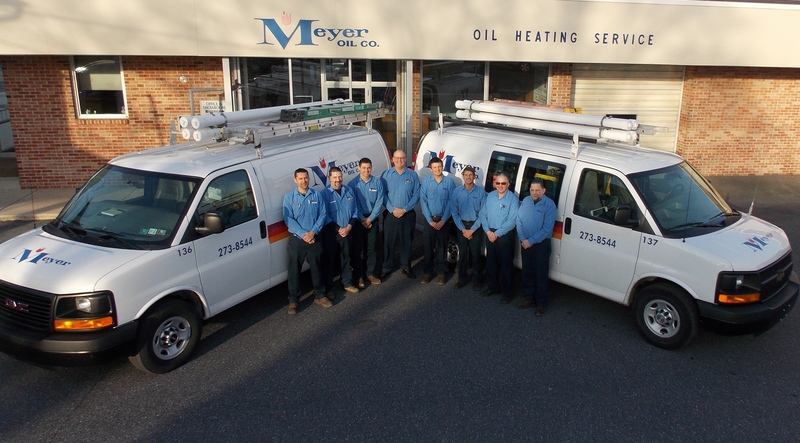 After business hours, our answering service will answer your call and a Meyer Oil Co. employee return your call promptly.